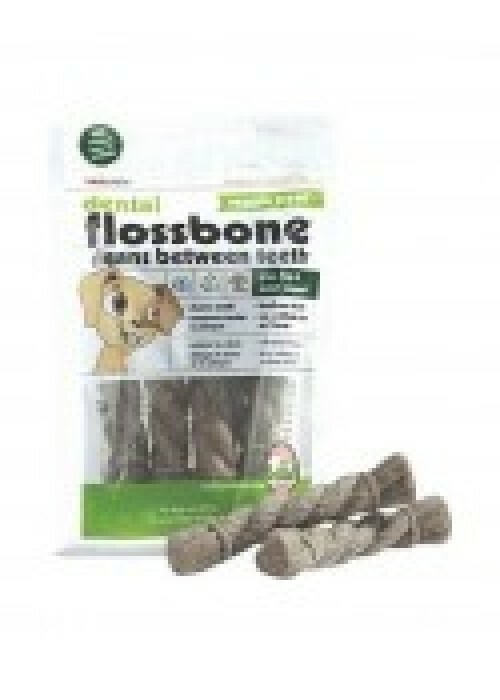 Product information- Dental Flossbone provides an easy way to keep your dogs teeth and gums clean and healthy while freshening their breath. These veggie treats support total dental health for your dog. They help to remove plaque and tartar by the mechanical action of chewing the bone. Made with added hip and joint support. NO wheat, soy or meat, NO artificial flavoring or coloring and NO animal by-products.